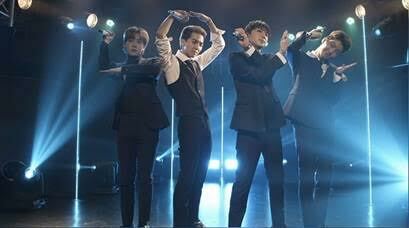 MTV Asia is set to premiere “Winner: Our Twenty For”, an exclusive 60-minute special features Winner performance and interviews, bringing fans closer to the K-pop boy band which currently consists of four members: Jinwoo, Seunghoon, Mino and Seungyoon. Produced by MTV Japan, this candid and entertaining interview reveals Winner journey and their emotions as they prepare and release their second Japanese single, “Winner: Our Twenty For”. They unveil the impact to the team with the sudden exit of the fifth member. The band members reveal more about themselves, explain the different role that each other plays in the team and the road to stardom. “Winner: Our Twenty For" premiered on MTV Asia on Sunday, 23 September at 7.25pm (WIB), 8.25pm (SG) and 9.25pm (MAL). Catch the replay on Thursday, 28 September at 3.15pm (WIB), 4.15pm (SG) and 5.15pm (MAL).